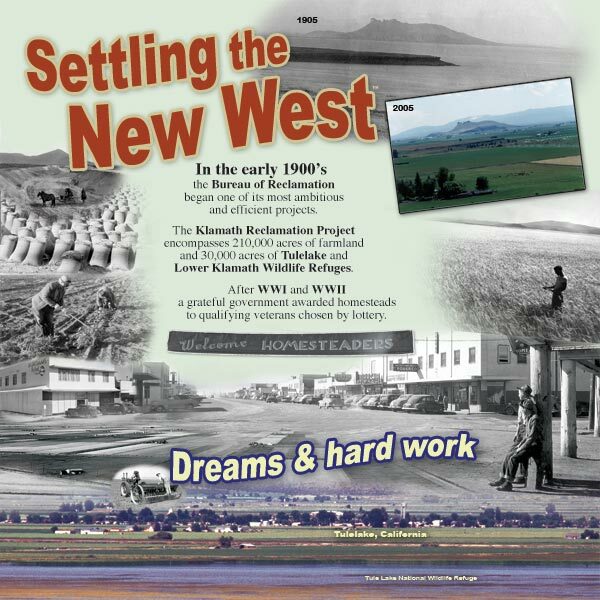 Welcome to Tulelake and the Upper Klamath Basin destinations: a Crossroads in Geological and Cultural History. 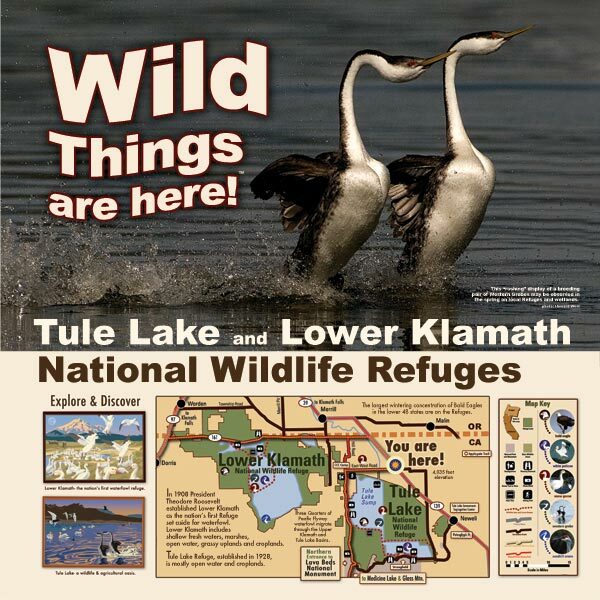 Tule Lake Basin is at the southern end of Upper Klamath Basin: Crater Lake to the Lava Beds. Here is California’s beginning or end depending on the direction one is driving. The adventure begins as history comes alive off the beaten path. 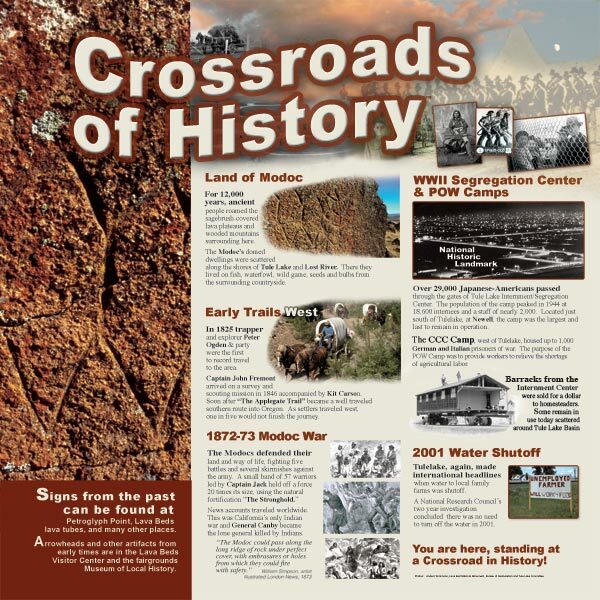 You are here, standing at a Crossroad in History! For 12,000 years humans have roamed this land. In the beginning the challenge was removing water. 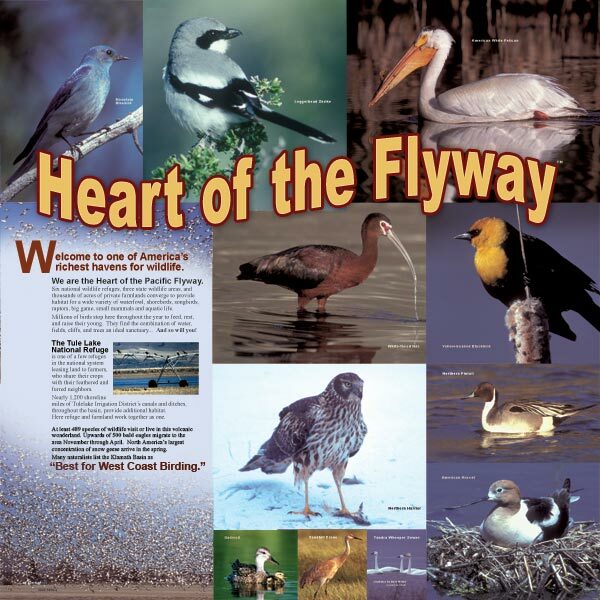 Lower Klamath was the first national waterfowl wildlife refuge. 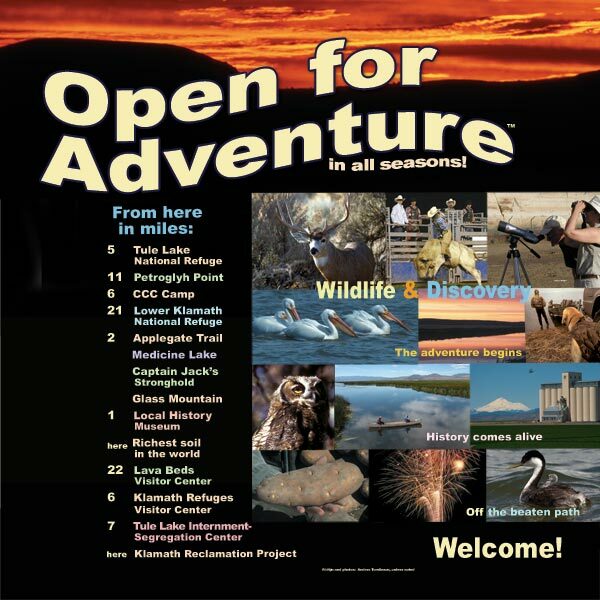 Almost 500 species visit or live these refuge-agricultural lands. 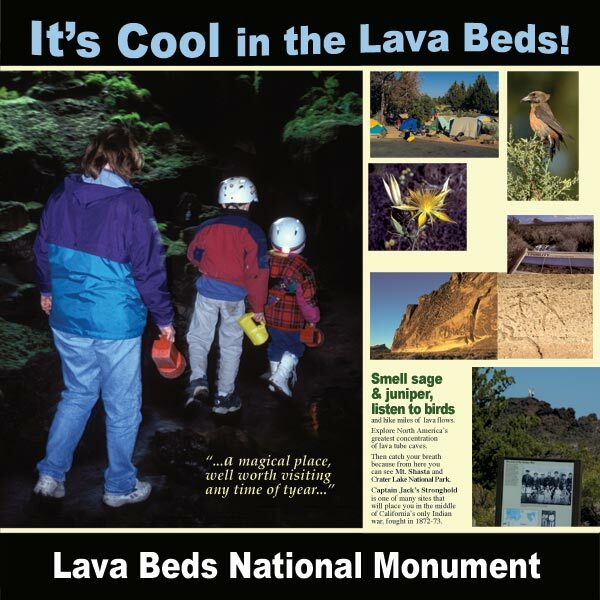 Explore North America’s greatest concentration of lava tube caves. Some of the first steps to land on the moon were here. 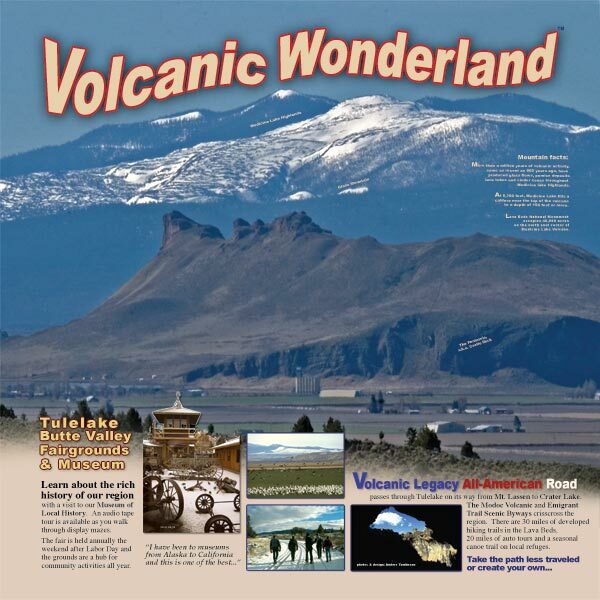 The Volcanic Legacy All-American Road runs through here. 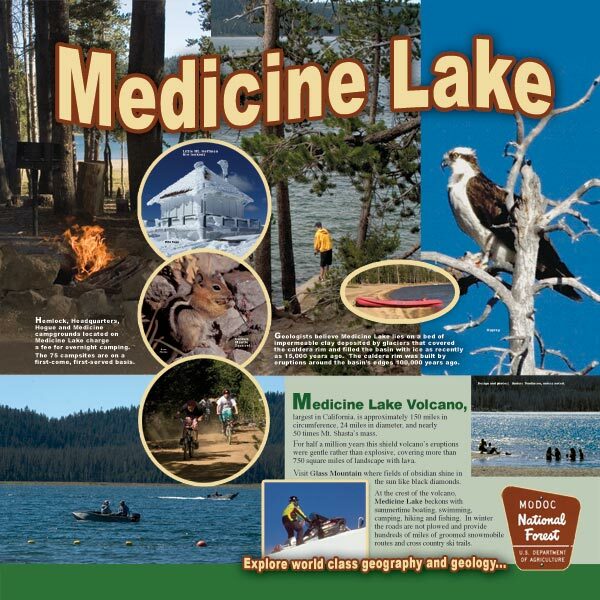 750 square miles of landscape is covered with lava flows and forest. 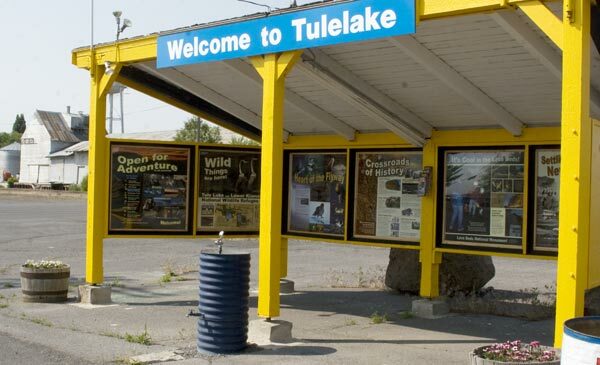 In 2008 Anders designed eight square panels, each 48 inches tall, for a community rest stop at the intersection of Highway 139, and Main Street in Tulelake. It clearly showcases places and things one can enjoy if they leave the highway and explore the surrounding landscape. These eight panels share epic tales and wondrous landscape destinations. 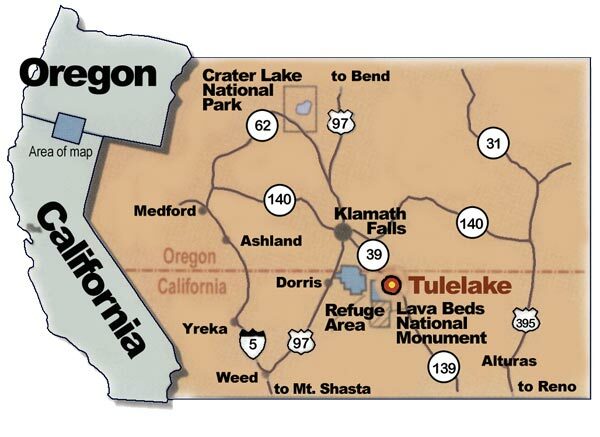 To see more of Tulelake and surroundings visit anderstomlinson.com/tule-lake/.